Have you ever been to a neighbourhood Asian restaurant for lunch? I bet you’ve at least seen one in a movie… they are not necessarily small, but simple in decor. The menus are voluminous, going on for page after page of delicacy. Much of the English is often translated a bit funny, which makes you wonder what food ingredient they really mean in the description of dishes. If you’re lucky, there are pictures. If not, you have to look at what others are having and point. The best thing to do is just order by number, because you are often not sure of the name. sometimes it’s a bit baffling, with so many choices. And just what do they mean by “bean curd skin”?? When I lived in Calgary I first went to a Vietnamese place on the edge of downtown on the recommendation of a friend. (This was long before Trip Advisor.) 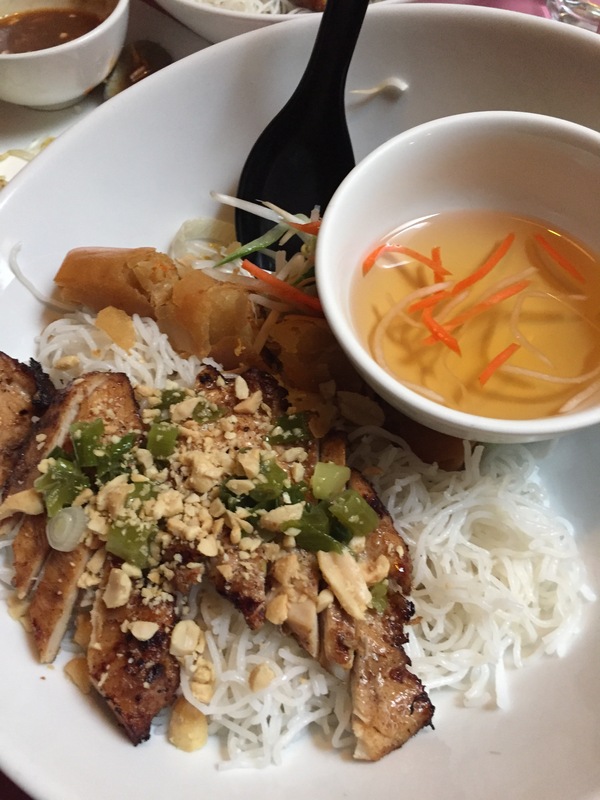 I learned what a vermicelli bowl was (delicious!) and the difference between spring rolls and salad rolls (30 years ago, who knew that?!) I discovered Vietnamese coffee here and thought I had found nirvana. But all of that happened over time, as I got used to the place and what the dishes were all about. Despite trying a number of tasty items, my favourite quickly became a number 66. It was a bowl of vermicelli noodles with julienned carrots, cucumbers and green onions, along with some bean sprouts, grilled chicken slices or beef on a skewer, and pork belly, and a spring roll chopped into pieces. It was served with a little bowl of vinaigrette, a couple of lime wedges and a few sprigs of Thai basil. The result was mouthfuls of refreshing, bold flavours with the exciting textures of veggies, meat and noodles and all of the possible tastes (sweet, sour, salty, bitter, and even umami). It was a masterpiece in a bowl. For ten years this was a cherished meal. I couldn’t even tell you the name of the place; we just used to say, “Want to go for a number 66?” We had to change our slang when they renovated – it became a 55, but that and some new paint on the walls was all that changed. Then I moved away. Thankfully, Kelowna has a few Vietnamese neighbourhood restaurants. I really like Pho Soc Trang. It’s amazingly similar, even being on the second floor like my old haunt in Calgary. 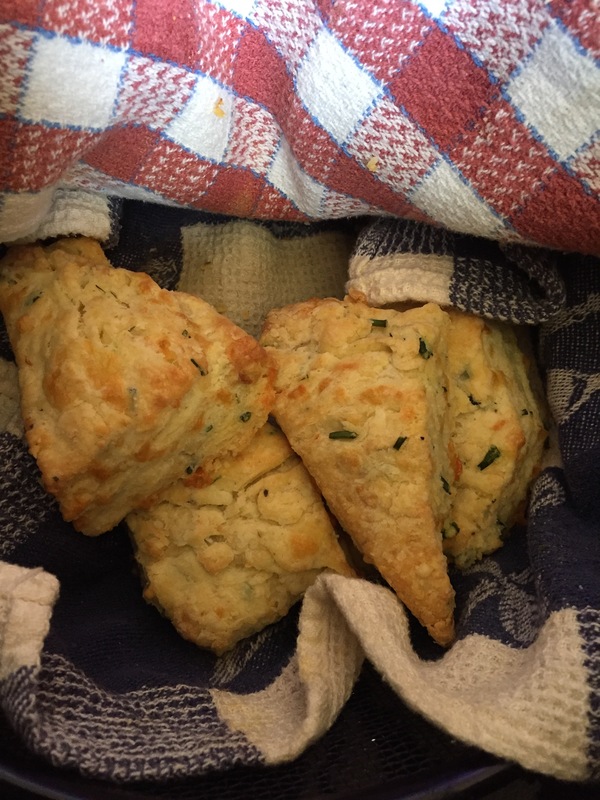 The recipe is not exactly the same, but pretty close – it’s a number 61 here. They don’t serve the fresh Thai basil and lime, but the complex textures and flavours are still the best way to chase away the blues, or a cold, or even just clear the cobwebs in my head after a busy week. My next step is to de-mystify “pho”, the now trendy Vietnamese noodle soup. I’ve had it a few times and would like to master how to enjoy it. Isn’t it funny how something so unfamiliar can become a cozy friend? All it takes is a bit of trust and a sense of adventure. Go figure.